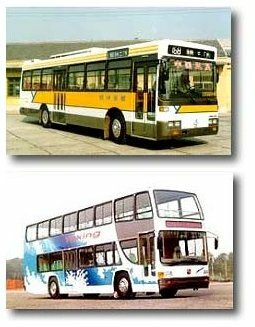 Jiangsu Asia-star Bus Group Co., Ltd (formerly Jiangsu Province Yangzhou Bus Manufacturing Factory) is a large first-grade enterprise in the bus production industry in china, one of the first 300 state key enterprises (groups), and in the list of the key units of Jiangsu Province. It has been awarded "Enterprise Technological Improvement prize" by the central government, "Quality Management Prize" of the Communication Ministry and the title of "Jiangsu Famous Brand Product." It's principal economic index has been at the top of the industry for 5 consecutive years. The Group takes "Asia-star" serial buses as its main products and capital as the tie, organizing scientific production factors and enlarging the scale of production and operation. Till now, it has had two fully-owned subsidiary companies, four propertied subsidiary companies, one joint-venture with overseas capital and nine participating companies, primarily forming a bus manufacturing group which produces large. medium size and light highway bus tourism bus city bus, special vehicle agricultural vehicle and bus chairs, parts of chassis, writs of bus and other key parts. It has an annual output capacity of 8000 all kinds of buses, the technique of bus production taking the lead in the country.